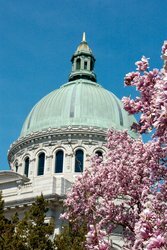 Come discover the wealth of things to do in Annapolis, Maryland. The Annapolis Inn is close to downtown activity and our guests may easily walk to many different historic government buildings, mansions, museums and churches. Annapolis has a sprawling waterfront with boat rides, irresistible and welcoming restaurants, and three hundred years of carefully preserved architecture. The beauty of Annapolis rests in her quaint ability to recapture the romanticism of maritime culture. Visit Annapolis, Maryland, and discover a “museum without walls,” a city of four centuries of buildings of architectural and historic interest, a city with narrow colonial streets and alleys, a city to be discovered merely by walking! 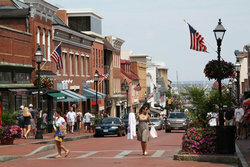 There is so much to discover and every visitor can find unique points of interest and things to do in Annapolis suited for them. Traditions of a bygone era permeate Annapolis and exude a nostalgic feeling of history that pertains to us all. We are happy to highlight for you the many things to do in Annapolis. The list of Annapolis attractions can easily fill a week of vacation time. How about a day at a spa, a sunset cruise on the Chesapeake Bay, a day of bike riding on our Annapolis 22 mile bike trail? Would you like to rent a kayak, an electric boat or charter your own yacht? Or would you prefer sailing lessons or tickets for our outdoor Summer Theater or the Annapolis Symphony at Maryland Hall? How about a rainy day indoors visiting museums or art galleries or conducting historic research in the Maryland Archives Building or the Annapolis Hall of Records? 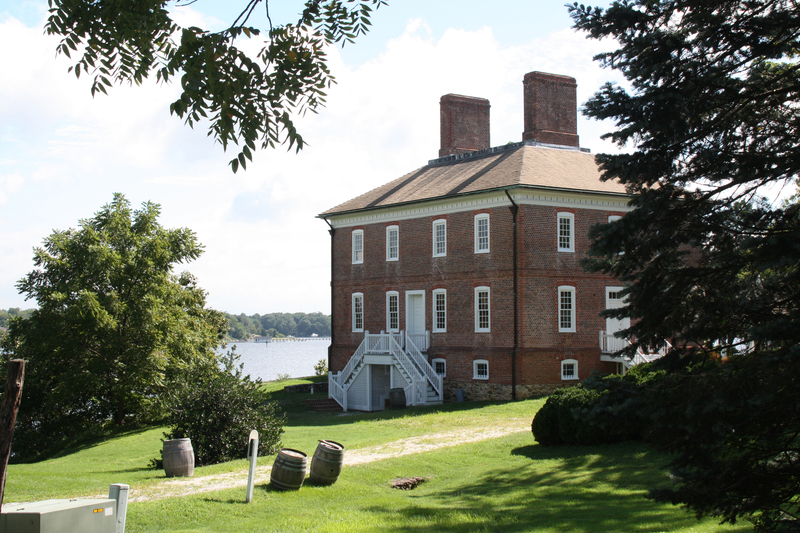 Or do you prefer the outdoors and would rather follow the Maryland Revolutionary War and Civil War trails or visit the U.S. Naval Academy or St. John’s College? No visit is complete without visiting the Maryland State House, the oldest state house in the country that is still in use. Are you aware that The Treaty of Paris that ended the American Revolutionary War was signed there or that George Washington resigned as Commander-In-Chief of the Continental Army there? Annapolis is a treasure trove of history. So much history, sailing and other intriguing and captivating things to do in Annapolis Maryland lay at your feet. 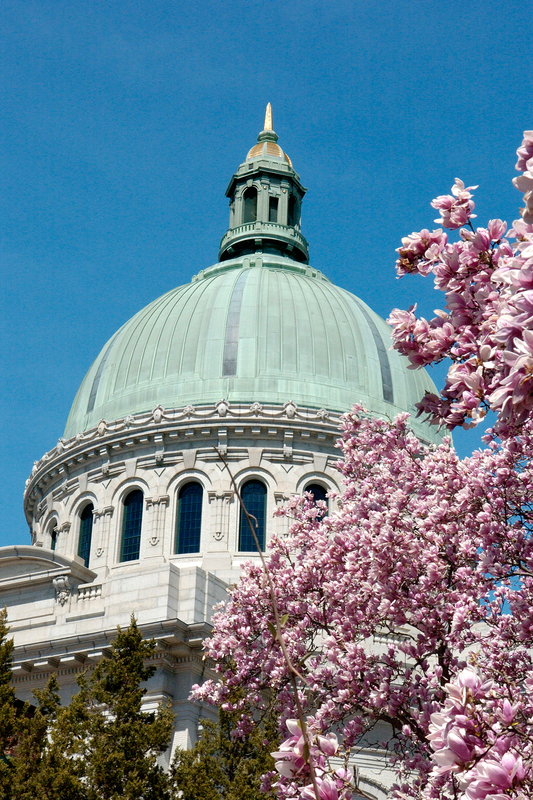 The Naval Academy Chapel was designated as a National Landmark in 1961. Take a tour of this house of worship on the U.S. Naval Academy grounds and an important feature of Annapolis. The Chapel has undergone significant remodelling in the last century, in both 1940 and 2009. Come tour the recent restoration of the chapel dome’s 20 foot oculus. This round skylight was plastered over for decades because of deterioration. The hardwood floors and pews have been refinished as well, seating 2,500. The U.S. Naval Academy Chapel features beautiful stained glass windows representing the ideals of naval service. The chapel also houses a 268-rank organ controlled by 522 drawknobs, one of the largest consoles in the world. The crypt of John Paul Jones is beneath the chapel, the sarcophagus a site to behold and made of 21 tons of molten steel. Annapolis hosts the nation’s oldest boat shows, including the Bay Bridge Boat Show, Annapolis Spring Sailboat Show, the United States Sailboat Show and the United States Powerboat Show. Visit one of the most detailed and comprehensive boating exhibitions in the industry. 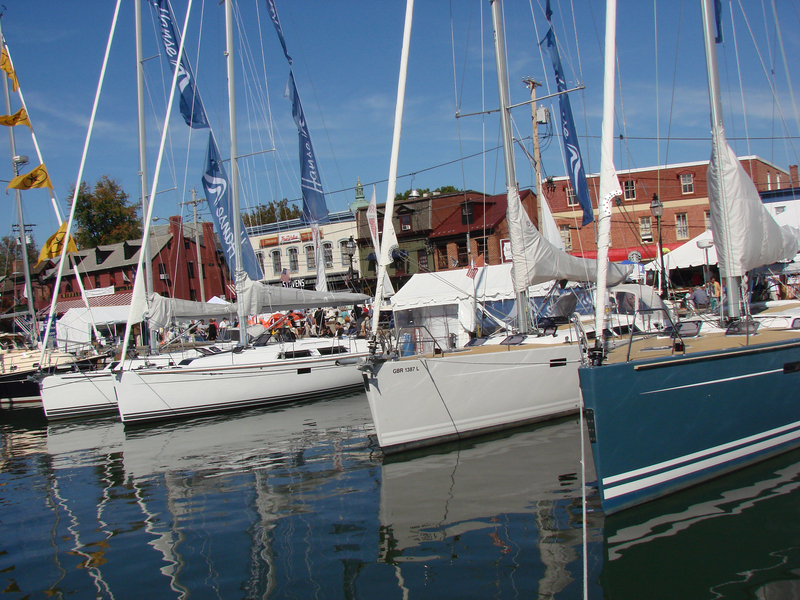 All of the Annapolis Boat Shows are an opportunity to board every model on the market and discuss your dreams of buying a boat with industry representatives. It is always a wonderful day exploring boats and a vast array of products and services, such as financing, insurance, and various electronics. Over 100,000 boaters visit the Annapolis Boat shows every year, with 20 percent of visitors travelling from international countries. 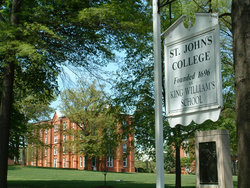 The third oldest college in the United States, St. John’s is a liberal arts college with a true foothold in Annapolis. The college has been visited by Presidents such as George Washington, Dwight Eisenhower, and proudly remembers alumnus such as Francis Scott Key, the poet of “The Star-Spangled Banner.” St. John’s has a decades-long tradition of meeting the U.S, Naval Academy in a croquet match, an event for both schools and Annapolis. 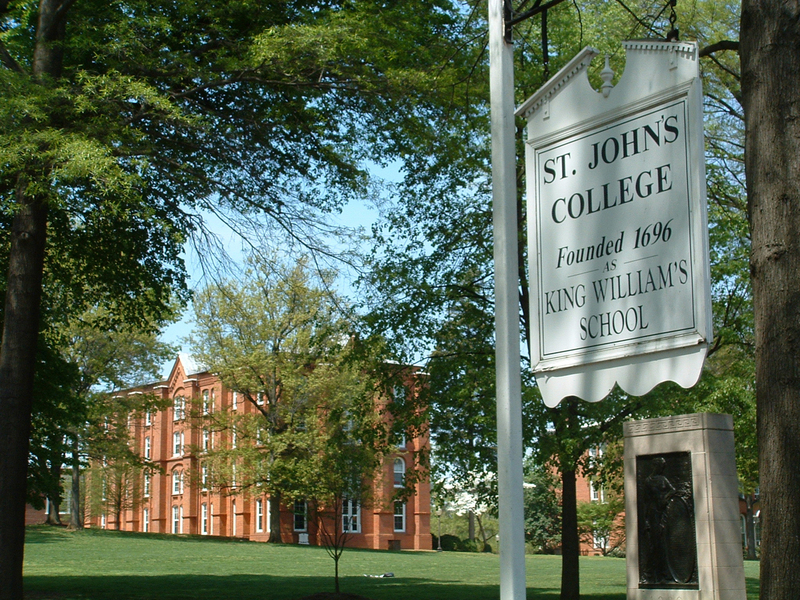 National publications have ranked St. John’s as one of the nation’s best liberal arts colleges. Tour their 36 acres of lush campus that overlooks College Creek and visit the Elizabeth Myers Mitchell Gallery to see works from acclaimed artists. No trip to Annapolis is complete without bringing home a treasure from our chest. Shopping is always an extravagant thing to do and there are options for every shopper. Main Street has lots of boutique and speciality shops, including children’s stores, jewelry and various gift stores to find exactly what you’re searching for. Maryland Avenue is the oldest retail-affiliated road full of boutique and gift shops. If you prefer to browse antiques, Eastport and West Annapolis are both full of antique shops with maritime-themed pieces. It is just a short walk from East to West. 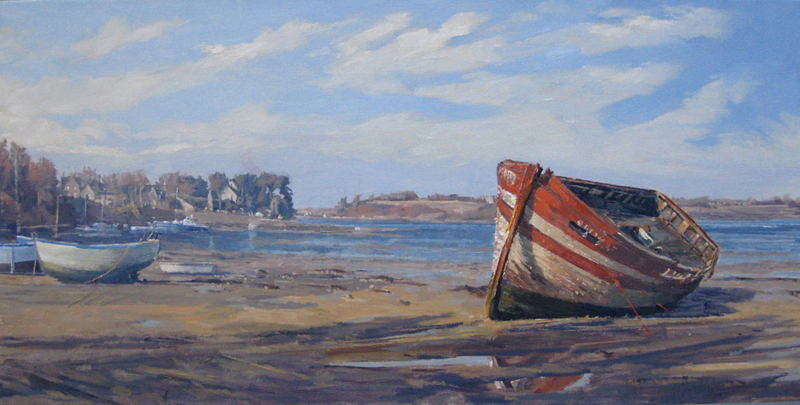 There are many art galleries on State Circle, such as the Maryland Federation of Art, which have art for sale. Whatever gem you are searching for, you will find the perfect prize to bring home and encapsulate your trip to Annapolis. Equally grand and rustic, the Arts District is an Annapolis attraction that everyone can enjoy. Enjoy several blocks of art galleries, performing art studios, music venues, bars and restaurants. Anne Arundel County’s rolling farmland and the Chesapeake Bay are immortalized in both fine art galleries and murals painting on buildings. Enjoy live music as you tour the historic Arts District, visiting over 25 art galleries with sculpture, paintings, ceramic, and glasswork such as the Annapolis Maritime Museum, McBride Gallery and West Annapolis Artworks & Fine Framing. If you’re interested at trying your own hand at it, several art studios offer classes and workshops. This 23-acre park features a lost colonial town and beautifully preserved gardens, here in Maryland. The William Brown House still stands in this historic area, and several buildings have been reconstructed around it, including a Carpenter’s Shop and Lord Mayor’s Tenement with Kitchen Garden. The Historic London Town & Gardens offers a sprawling region of flowers, with Woodland Garden and Ornamental Gardens offering a variety of plants. There is also a living roof and rain garden between the Visitor Center and the Anne Arundel Archaeology lab to see. Visit their website to see what is in bloom during your visit to the Historic London Town & Gardens, one of our favorite things to do in Annapolis, Maryland.